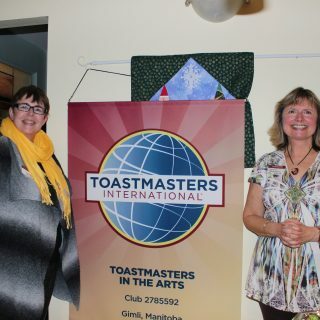 I have to thank my writer friend Lyn Hancock for pointing me in the direction of Placencia, Belize. 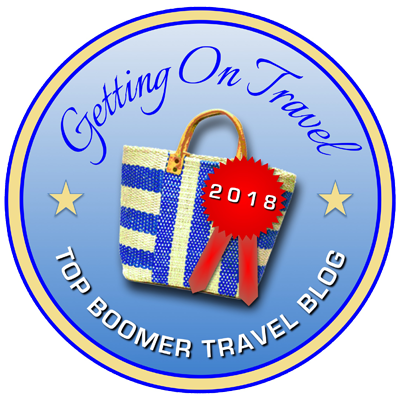 Virginia and I had three days following our cocoa time in Punta Gorda to enjoy some R&R and were seeking a Belizean beach destination to fit the bill. 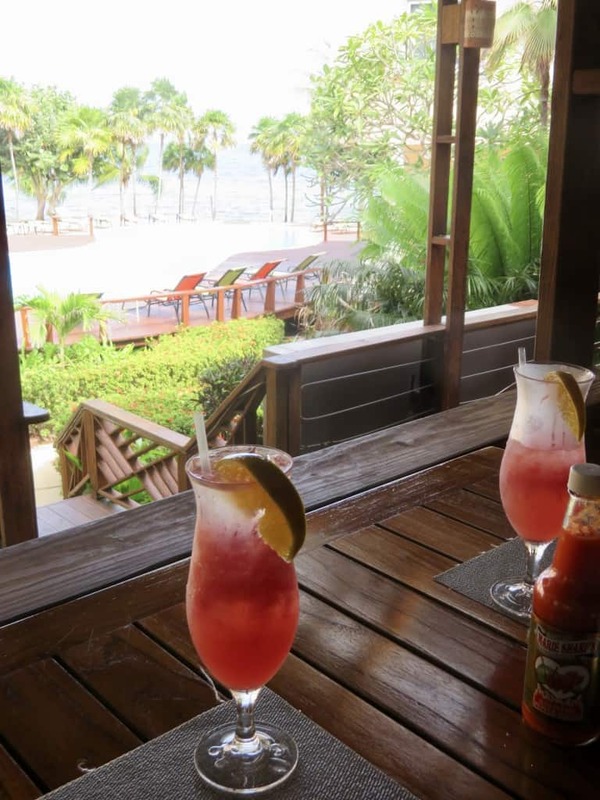 On Lyn’s recommendation–a friend who knows Belize very well–we found a lovely beach resort and were able to take in the sun, sand, and scenes that brought lasting smiles to our faces. This was our piece of Paradise in Placencia for three nights. We stayed at the Laru Beya Resort. It was lovely! We had a one-bedroom fully-equipped condo overlooking this beach. There was a nice pool and restaurant within steps, and it was quiet and friendly. 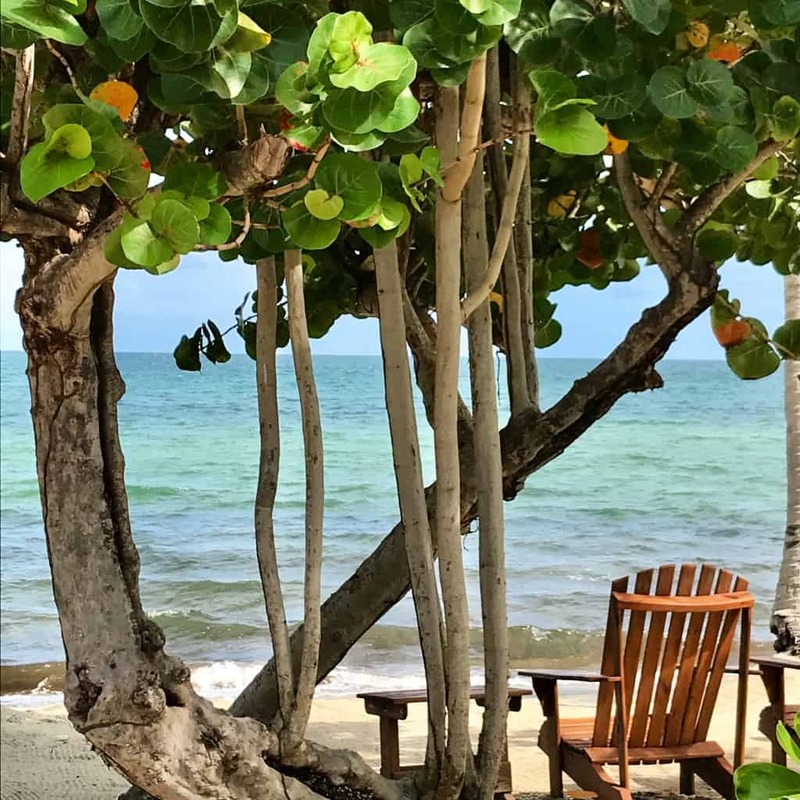 But it was also a $10 cab ride into the village of Placencia, so that was an incentive to be sure we planned our trips so that we could get what we needed and then just relax once we got back to our little piece of paradise. We enjoyed walking down the beach, but unfortunately, that brought about two downers. I got bitten by the sandflies and was plagued with these red marks on my lower legs for the duration of our stay. And as you can see from the photo beneath that, there is a real garbage problem along the beaches of Belize. For the most part, I’m sure that the bulk of the garbage has travelled a long distance to get to Central America, and it is not the fault of the Belizean nation that the garbage is there. But it’s there, and that is sad. But apart from the sandfly bites (which fortunately were not itchy) and the unfortunate washed up garbage on the beach, we had a marvellous stay in Placencia. Fortunately, the garbage was about 10 minutes down the beach from our resort, but I would have thought that the resorts along this strip of beach would have made more of an effort to keep it cleaner. 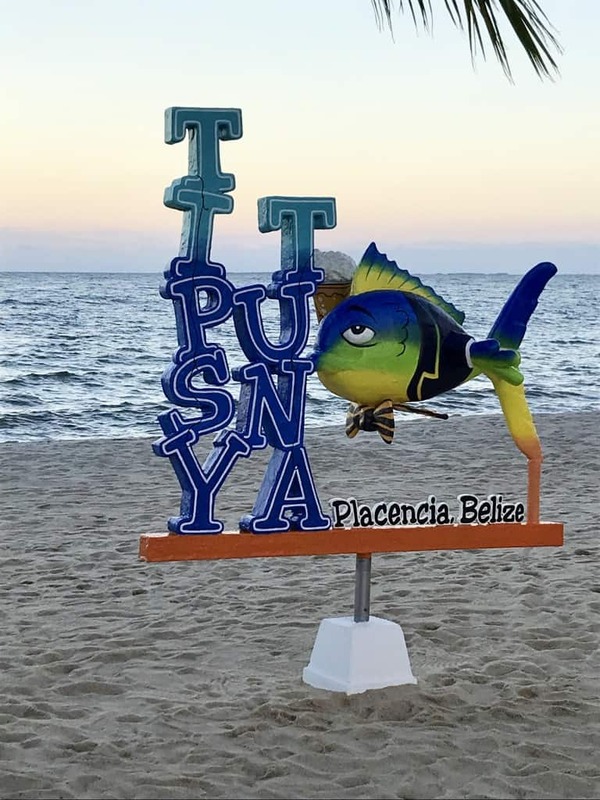 One of the highlights of our time in Placencia was spending an evening in the village at the beachfront Tipsy Tuna, where we enjoyed some great drinks, food, and lively entertainment. We were fortunate to be there on an evening where the Garifuna folk dancing and drumming was happening. 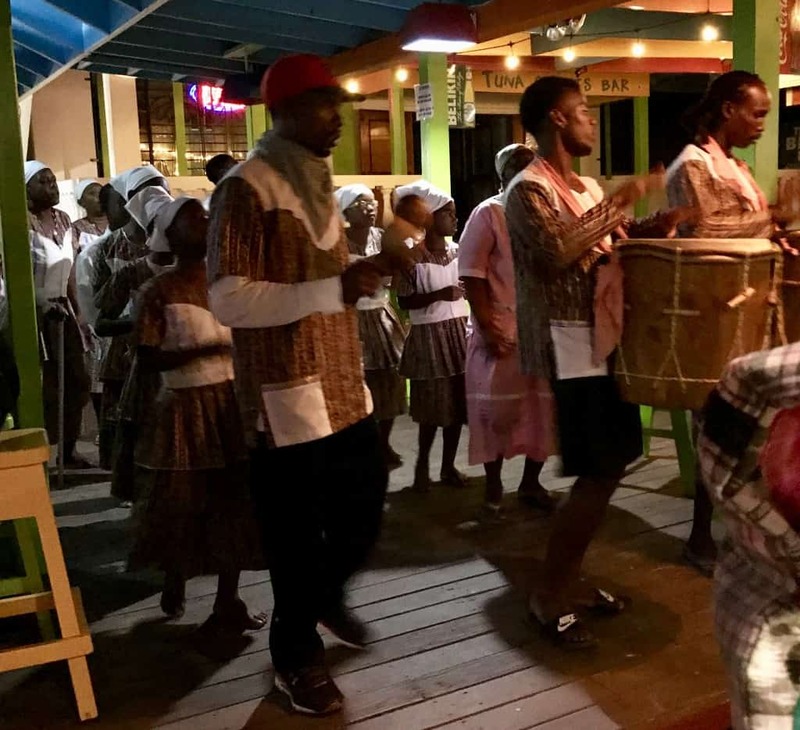 There were children as young as six years old among the folk dancers who showed us a touch of the Garifuna culture as other members of the troop accompanied them on the drums. The Garifuna are Black Belizeans who originated in the islands of the Lesser Antilles (mainly St. Vincent and the Grenadines), but were exiled by the British during the slave rebellions just before the turn of the 19th century. 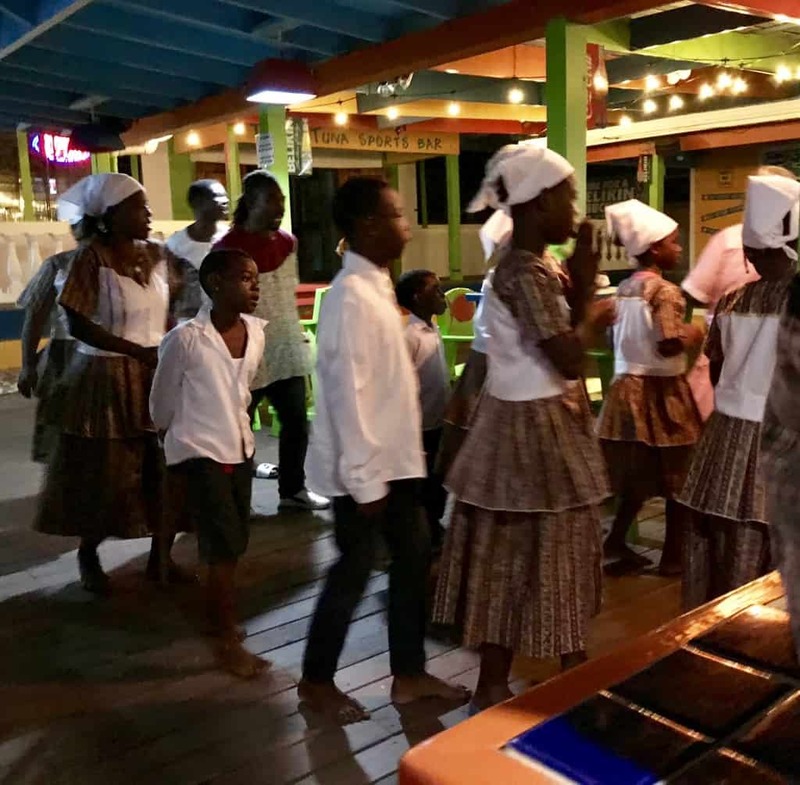 The Garifuna now live peacefully with those of Mayan heritage who make up the other significant portion of the Belizean population. Our time in Placencia was brief, but long enough for Virginia to partake in a snorkelling excursion while I caught up on my notes and ensured no further exposure to the sandflies who already won round one. As mentioned in this post, the snorkelling in Belize is second only to the Great Barrier Reef in Australia. 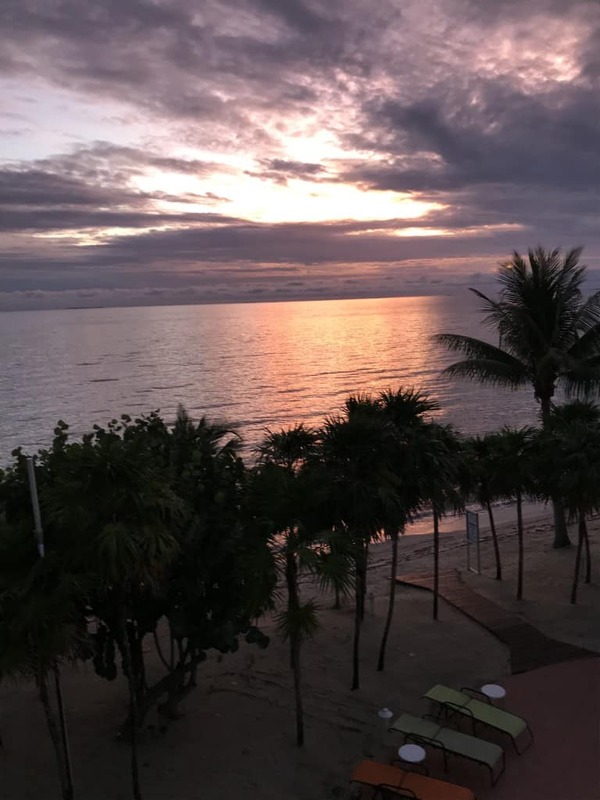 We sure enjoyed the beachside drinks at Laru Beya, and the beautiful sunrises and sunsets, too. After enjoying a good number of refreshments and the final sunset of our stay, we were ready for our next Belizean adventure. Stay tuned! 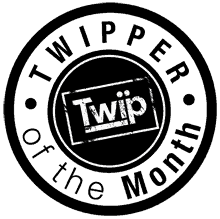 Known throughout the Web as the "Wizard of Words", I've been a freelance writer since 1993. 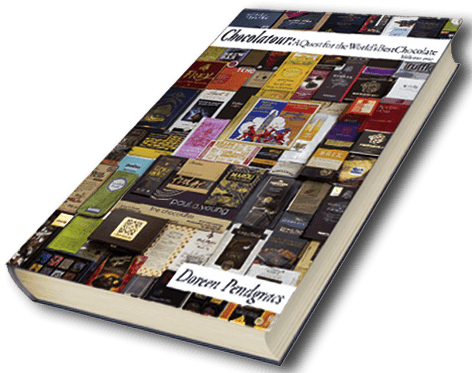 I'm currently researching and writing volume II of "Chocolatour: A Quest for the World's Best Chocolate". Volume I was published in September, 2013. 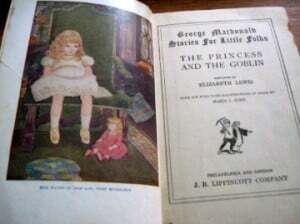 Always enjoy reading about your adventures and your beautiful pictures. I was lucky and did not react to the sandflies, but the garbage was indeed disheartening. It was good for us to see it in a way. 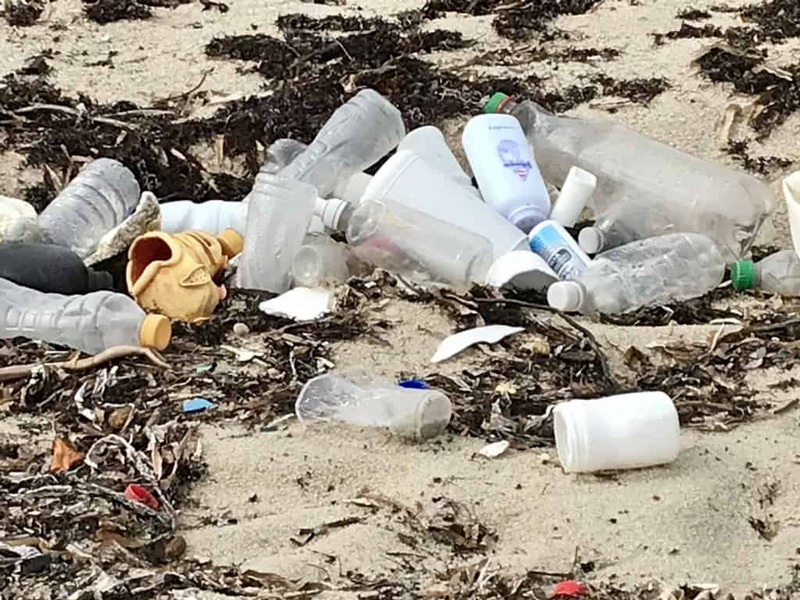 Some countries do a better job of cleaning up their beaches for tourists, but this merely masks al problem. Seeing the piles and piles of plastic alerted us to the enormity of the dilemma. While as a society we try to figure out how to use less plastic, I would encourage everyone to buy a bracelet from 4Ocean, a Florida-based organization that uses money from its sales to clean up plastic debris in the ocean. They’ve collected more than a million pounds so far. I’m on the road and having trouble linking, but you can just google it. P.S. The snorkelling was fantastic and the underwater nurseries Belize has established to grow temperature-resistant corals are impressive. I also enjoyed paddle boarding (the boards and boats are free to use if you stay there) on the calm waters off the resort. Thx very much for your insightful comment, Virginia. Here is the link for 4Ocean that you mentioned, so that readers can check it out. I should write something about them open of these days: https://4ocean.com. Sounds like a wonderful time. I was going to buy 4Ocean bracelets for my Grandkids a couple of months ago but after reading the reviews on their site I changed my mind. The main complaint was that they were poorly made and coming apart. Maybe they will correct those problems. I hope so, Jan. But I guess it’s more the sentiment that we’re doing something to help the environment by purchasing the 4oceans bracelets. I’ll ask Virginia if she’s had any trouble with hers. Placencia looks lovely. I can relate to your sandfly bites. I once reacted quite badly to bites in Antigua. That was the same day my husband fell and strained the muscles in his ankle. We must have looked quite the sight hobbling down the street as he limped along leaning on me and I was covered in red welts. Beautiful settings make it much easier to cope with those issues though! You’re so right, Donna. I must say I’m having difficulty coping with our overly severe winter this year. Usually I have a trip to look forward to, but this winter I thought I’d stay home and write my book. I think that was a mistake. So lovely ! I know Playa del Carmen has a volunteer beach clean-up – and they must keep on it. I have never personally seen this negligent garbage. It’s awful!. I think Winnipeg acquaintances around Tulum make art works out of bottle caps. I wish you had been able to get away this last month. I know how much you dislike these bleak winters. 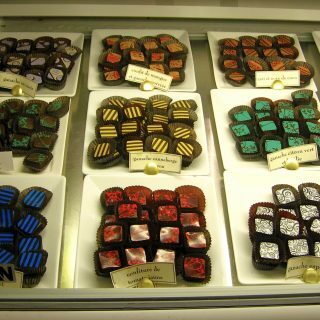 Thanks again for the wonderful articles and photos from your Belizean chocolate travels. Thanks so much for your kind and thought-filled comment, Linda. Yes, I know that Belize has a great record in conservation and preservation. I’m going to ask my friend Bob Cooney who now lives there what the regulations are about cleaning up offshore garbage that’s been washed ashore. There should be some kind of fund from the UN or some global org that would help disadvantaged countries with the cost of cleanup. Or as you say, start teaching the principles of volunteerism and get children to want to help right from a young age. Ouch to those sandfleas–I’ve been lucky and never got nipped on by them. Your posts on Belize have certainly made it sound like a wonderful place to visit. I truly hate to see all that garbage–anywhere. There’s got to be a better way. Indeed, RoseMary. It really made me feel terrible to see all that washed-ashore beach garbage. It definitely looked like some of it came from China, as I think we remember seeing some stuff that had Chinese writing on it. But it is a problem of the world, and I think we need to support initiatives like the 4Ocean program Virginia was talking about. Thx for stopping by. What beautiful beach scenes. I wonder if they could hire people to clear the trash, that could get unhealthy, just leaving it there. Hi Karen. I would certainly that they do clean up the beach when there are more clients staying at the resorts. We were there in low season & so I suspect they may have let things slide. The beach in Placencia looks relaxing. I can picture myself seated on that chair with a good book. Your bites look awfully sore – I presume you used medication for them. My first experience of sandbites was on holiday in Turkey. My skin was irritated for hours after sunning on one of their beaches. As for the garbage on the beach. There really is no need for it. It looks unsightly and dirty. Hi Phoenicia. No, I didn’t have to medicate those sandfly bites–although my local friend Bob did bring me some local stuff to try the day after I got the bites and it did seem to tame them instantly. But I need to be sure to use preventative measures when walking on beaches in the future, as I hadn’t sprayed myself before we embarked on our beach walk. The resort looks amazing, but yes, I agree that they should also take some effort to keep the beach cleaner. 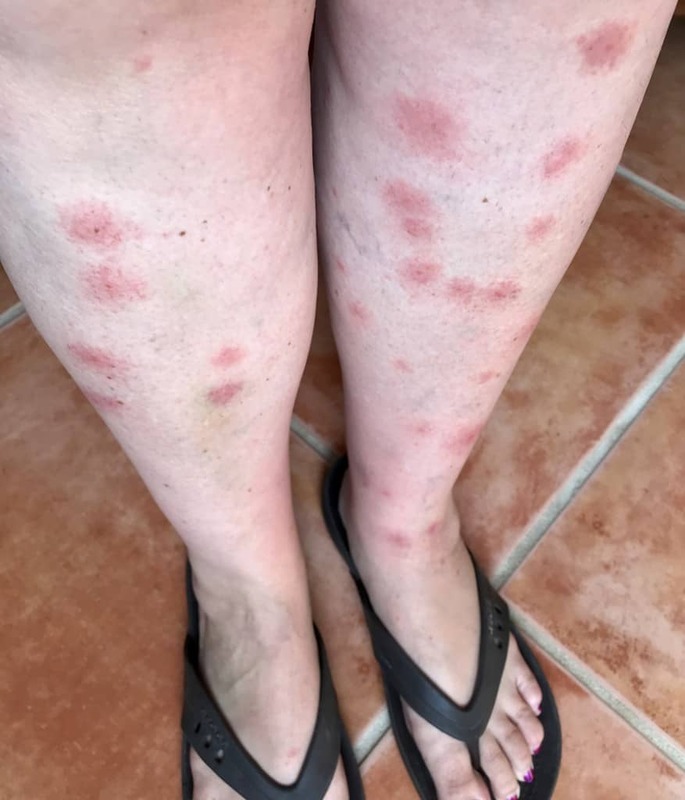 Thank god the sandfly bites are harmless, they do not look so! Hi Amrita and thanks for your comment. To be clear, it was not the beach at our resort, but rather, the public beach 10 minutes away where we found a bunch of washed ashore garbage. I think it is the public authorities who need to be held accountable for keeping the public beaches clean. Placencia, Belize does look like a slice of paradise. The beaches look gorgeous. What a pity that garbage gets dumped in the sea and reaches this beautiful region to mar its beauty. Truly it is such a pity that Man is choking up the rivers and seas with pollutants. Indeed it is, Sandy. It would be so cool if they could trace the jet streams in the sea and figure out where most of it is coming from. It looks like a visit filled with the good and the bad. Belize has become a popular destination, but with that popularity comes increased pollution and crowding. Glad you got to see the positive side, as well. I have been planning for our trip to Belize, possibly in 2021-22 timeframe. But sandfly bites I would shudder to get. I wonder if there is a way of sorting out resorts plagued by them and the garbage? Hi Carol. To be clear, Laru Beya did not have any garbage on its beach. And we got exposed to the sandflies down the beach as we spent our time at the resort around its lovely pool and admiring the waves of the beach. But I think that reading reviews on Trip Advisor is always a great way to learn all the good and bad of any destination. Cheers. ouch. Sandflies. Not Placentia’s fault, but a nuisance nonetheless! Yes, definitely, Jane. I’m going to have to be more proactive and apply a bug repellent when walking on sand, as that’s where they seem to get me. Thx for stopping by. It all looks and sounds amazing with the exception of the sand flies and garbage on neighboring beaches. You were smart to plan out your village runs so you didn’t waste money on taxis coming and going. What an relaxing and beautiful location! I’ve suffered from sandflies in the past, so can sympathise with you! But apart from that (and, unfortunately, the rubbish) Belize looks lovely. Indeed, Karen. I really do love Belize. But just thought I’d better share the good with the bad as too many sites only delve into all the positives and don’t portray a realistic view of what a visitor may experience. The sandflies remind me of when I did a sailboat cruise of the Grenadines and Grenada. I was a walking welt. That whole area of the world is so beautiful, though. I’m sure it must have been heavenly. 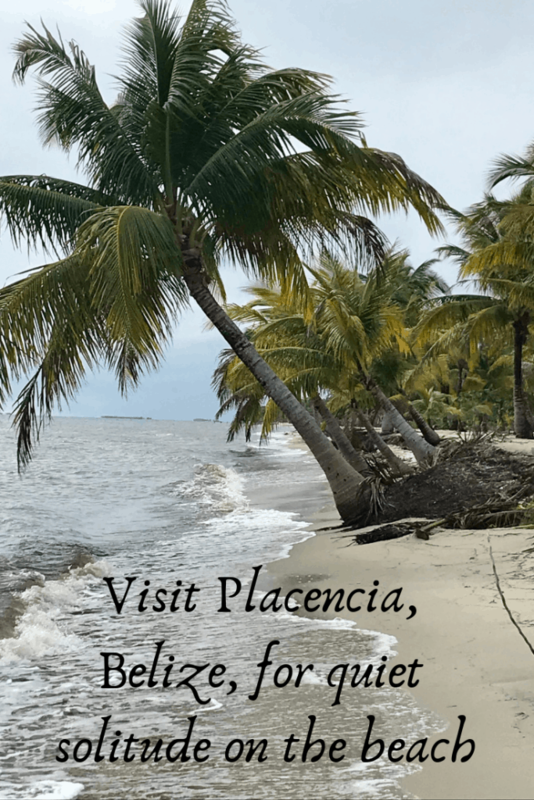 I’m very happy to hear from you about Placencia-Belize. I have planned a wonderful trip to this amazing place. I take advice from TripAdvisor. 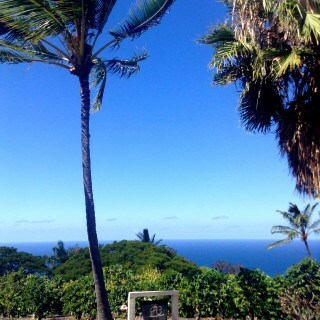 and your blog also helps me to know much more about this place. I like your honesty Doreen. 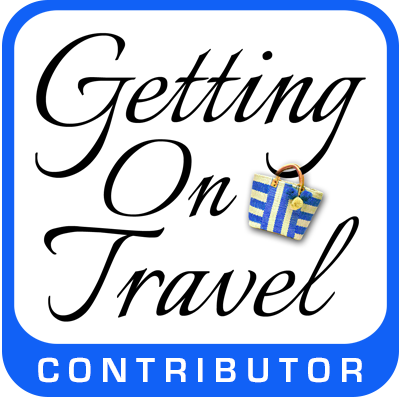 Sharing the good and the bad side of every travel. I hope they will give more effort on what to do with the garbage and help take care of mother nature. I’ve always heard a lot of diverse opinions about Belize which now makes more sense after reading your piece. Such a shame about the garbage situation, but that is something that can be changed if people everywhere just start to care a little more. The resort looks fantastic and I would love to kick back and relax there sometime. Hi Cathy. It’s so true. Beach garbage isn’t Belize’s problem. It’s a problem of the world as I’m quite confident that much of what we see washed up on the beach has travelled a very long way in the water before it ends up on a Belizean beach. We all need to be more conscious of every bit of garbage we are creating–at home and abroad. Thx for stopping by. I appreciate your honesty in the post Doreen. I’ve heard lots of buzz about Belize recently, especially when it comes to beaches and snorkeling. When you consider all the plastic floating around the ocean, it’s only natural for it to wash up on shores everywhere. Hopefully as people become more aware of the damage it causes, they’ll be more responsible. Absolutely, Alison. Garbage of the oceans is a problem to all citizens of the wold. Thx for weighing in. I am still hoping to make it to Belize to scuba or snorkel so I was interested in reading your post. I so hate to hear about the garbage problem on the beach! Hopefully the rest of the trip was enjoyable, other than the sand fleas! I’ve been in Belize for a week now (blogging too) and we love it here. Sandflys bother me too, but luckily we have not seen trash in the beach. The people are so friendly. 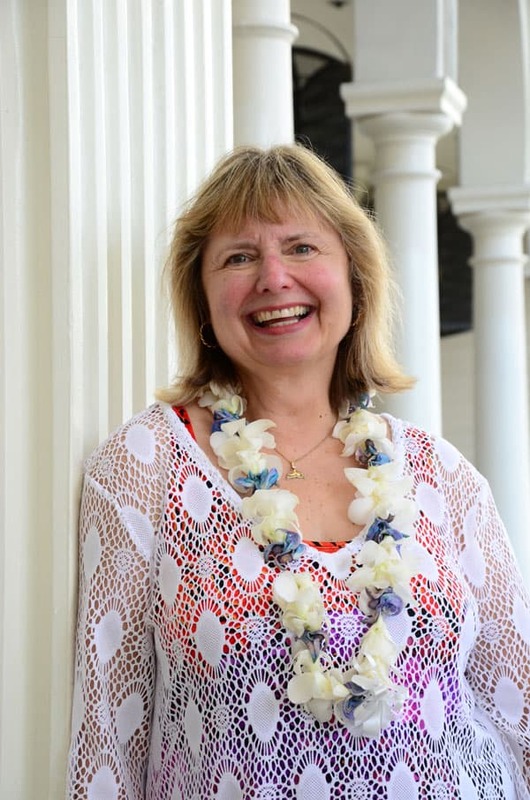 Hi Laureen and thanks for stopping by the blog. 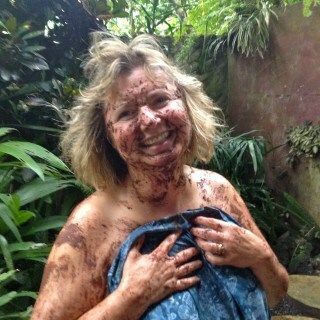 Yes, there are many great things about Belize that I, too, love. 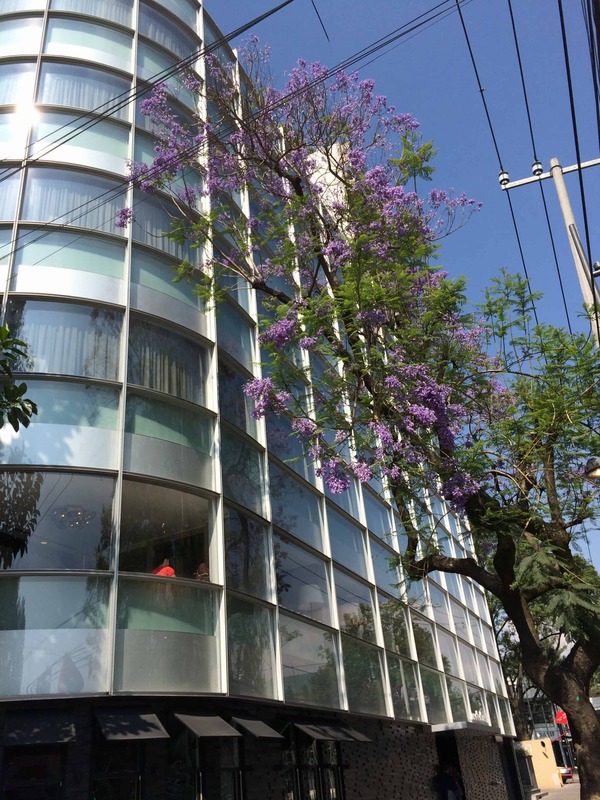 I can see why there are so many expats who have made it their new home!